New video on my blog post – Notes on How I Lost Weight. I’m breaking down each of the 6 tips that have helped me figure out the best diet, balance and habits for my body. Check out the original post for all 6 tips. They’re helpful lessons that have helped me, but you gotta do what is best for your body. Treat yo-self well. 2. 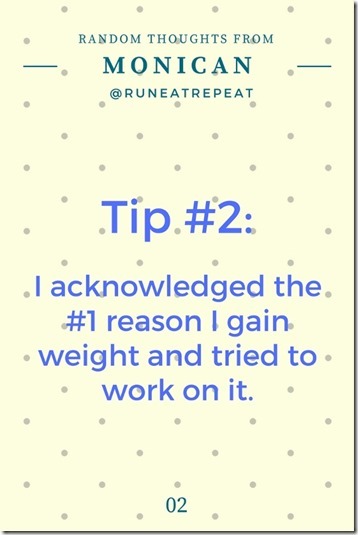 I acknowledged the #1 reason I gain weight and tried to work on it. One of the main reasons why I gain weight and/or can’t lose weight is = SNACKING. I snack the most when I’m tired or bored. So, knowing that I snack when I’m tired I started to drink Spark a little before my usual afternoon energy crash. It has caffeine and B vitamins, which help keep me from needing a snack to spike my blood sugar. Reminder: Your health – both physical and mental health – are very important. Take care of both. As with any advice or tips you see on the internet… take what is helpful, leave what is not. But above anything else – take care of yourself. Question: What is the hardest habit for you to break? Do you have one?? If not, can you help me work on mine? Thanks. Hi Monica, loved your videos! Thank you for sharing and please keep sharing. Hi Monica! I watched your video today and loved it, again. Thanks for being so easy going and transparent. 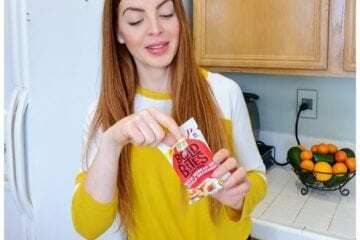 You are the person who first pointed me to intuitive eating, so you may already practice this tip, but something that helps me lately is just waiting until I am truly physically HUNGRY to even snack. And some days that is pretty often, haha, depending on mileage, etc. But the funny thing is how I never feel deprived or as if I am “dieting,” because waiting until that point helps me enjoy the food SO much more. The tastes, the textures, all of it. And by waiting, I have given myself a little time to really figure out what my body is asking for. Have you read The Endurance Diet by Matt Fitzgerald? 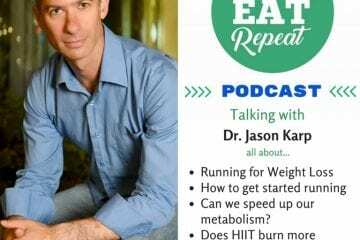 Really opened my eyes to a few healthy habits for runners. Loved it. As for night-time snacking, I have recently cut out fruit as a dessert (ayurvedic discovery) and instead have yogurt or nuts with chamomile tea. Kills my sweet tooth a lot better and makes me sleepy, plus it’s more soothing to my belly after a full day and dinner. Thank Marie 🙂 Yeah, if I waited until I was actually hungry to snack that would help a lot. It’s just such a bad habit. Snacking and nighttime eating are rarely from hunger for me. Oh, and I should check out that book! I used to bite my nails real bad..they are really soft so you could literally tear them. I started taking vitamins and kept them painted and now I don’t have the urge to bite them anymore! And they’ve never been this long/healthy! What is the hardest habit to acknowledge or break? I love food and drink. I love it all. Salty, yes. Sweet, yes. Alcoholic, yes. Desserts, yes. Snacks, yes. I am an emotional eater, I guess. I eat to celebrate. I eat to comfort myself. I eat to be a part of a social gathering. I acknowledge all of that. I am really successful with weight loss when I actively focus on it, log food, get my daily activity, and I am in the state of mind where I constantly remind myself how much better I feel when I’m lighter. It’s a daily struggle. I like the way you deliver your advice and tips. 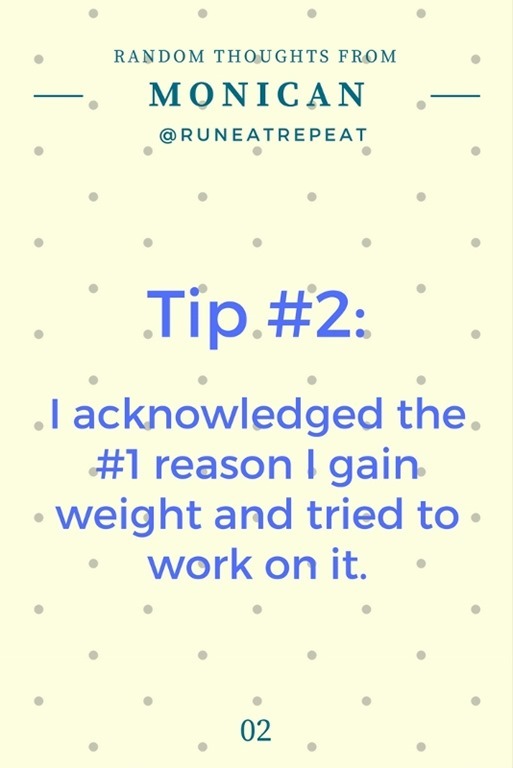 Were you inspired by anyone else’s weight loss? Added to my Watch Later list! My hardest habit to break would definitely be eating too much and having portion sizes that are too big for me… knowingly.